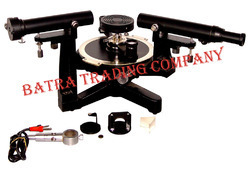 Manufacturer of a wide range of products which include newtons ring apparatus, spectrometry kit, bh curve characteristics apts, four probe setup, resolving power of a telescope and polarimeter (to find specific rotation of sugar). After experimental arrangement, the glass plate is inclined at an angle 45° to the horizontal.This glass plate reflects light from the source vertically downloads and falls normally on the convex lens. Newton's rings are seen using a long focus microscope, focussed on the air fil. The cross-wire of the microscope is made tangential to the 20th ring on the left side of the centre. The readings of the main scale and vernier scale of the microscope are noted. The cross wire is adjusted to be tangential to the 18th,16th, 14th etc on the left and 2nd, 4th, 6th etc on the right and readings are taken each time. From this the diameter of the ring is found out which is the difference between the readings on the left and right sides. The square of the diameter and hence Dn2 and D2n m are found out. Then wavelength is calulated using equatio. Light source, Filter, Microscope, Lens, Medium and Glass plate. Choose Medium Combo box helps you to choose the type of medium that the simulation have to perform. Radius Slider helps to change the radius of curvature of lens. The wavelength slider helps to change the wavelength of light used. The start button will help to play the simulation. The variation in the rings can be seen when the medium,wavelength of light or the radius of the lens changes. Click on the "light on" button. Select the lens of desirable radius. Adjust the microscope position to view the Newton rings. Focus the microscope to view the rings clearly. Fix the cross-wire on 20th ring either from right or left of the centre dark ring and take the readings . Move the crosswire and take the reading of 18th,16th...........2nd ring. You have to take the reading of rings on either side of the centre dark ring. Enter the readings in the tabular column. Calculate the wavelength of the source by using the given formula. 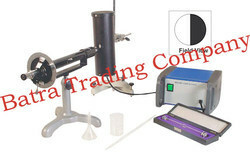 Understanding the demands of customers, we are engaged in manufacturing and supplying Spectrometry Kit. Designed specifically to suit the demands of customers, we are manufacturing these kits in adherence to the guidelines laid in the industry. Apart from this, we are committed to dispatch the offered range in stipulated time period at the clients' end. Backed by the support of our experienced professionals in this domain, we have been able to bring forward a qualitative range of BH Curve Characteristics Apts. The provided apparatus is well manufactured by our skilled professionals using the best grade basic material and modern technology. 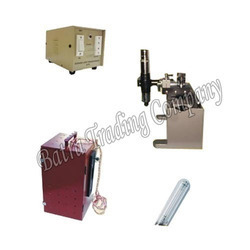 Offered apparatus is widely demanded by our clients owing to its long life and easy maintenance. Further, our clients can avail this apparatus at most affordable price. 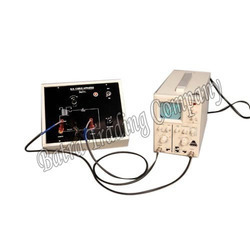 The is an Advanced version Of Four Probe Setup BTC-6A for reseacrh lab equipments which is widely accepted and exported to various research universities abroad also this version comes with temprature controlled oven at nominal cost. This version has been supplied to various reputed research institutes of india like IIT'S,NIT'S & Research lab across the country. Resolving power of a telescope is defined as the reciprocal of the smallest angle subtended at the objective lens of the telescope by two point objects which can be just distinguished as separate. D = is distance of the objects from objective of the telescope. a - is critical width of the rectangular slit for just resolution of two slits or objects. Exp-1 To determine the resolving power of a telescope. In this experiment, the user will prepare a sugar solution of known concentration (c), but unknown identity. The user will obtain the observed rotation (αobs) from the experiment using the polarimeter and use that information to calculate the specific rotation [α] of the given sample using the above formula. The identity of the sample can thus be found out from the given list of specific rotations for different chemicals. 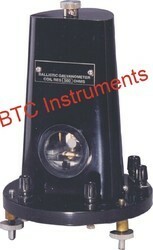 Ballistic Galvanometer: For measurement of small quantities of electrical charge. Reflecting mirror type open model.The moving coil is suspended by a phosphorus bronze strip, which carries an optically true concave mirror. The coil can be raised or lowered or set to zero by adjusting knurled knob at the top. A knob at the back is provided for clamping and releasing the coil. A high link resistance is provided to make the Galvanometer periodic, if desired Levelling screws are provided for balancing the coil. (a) Coil Res. 125 ohms & sensitivity 0.05 to 0.1 micro amps per mm. (b) Coil Res. 625 ohms & sensitivity 0.02 to 0.05 micro amps per mm. High Resistance Measurement by Leakage Method is useful for measuring very high value of Resistance. Digital Multimeters or LCR meters are used to measure the normal value of resistance (generally 1 Ω - 20M Ω) but in the case of very high value of resistance these are unable to measure with high accuracy. 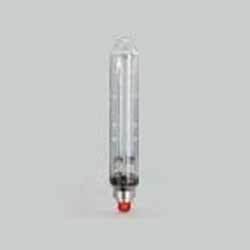 Leakage method is very accurate way to measure the high value of resistance because of very sensitive ballistic galvanometer with scale & lamp arrangement and very low value of capacitances used in the product. It is provided with different values of unknown high resistances on rotary selection and different values of capacitors. Low Pressure Sodium Vapor (LPSV) Lamps are used in physics labs. These comes in 35w / 55w and of PHILIPS / GE / OSRAM make, Imported. 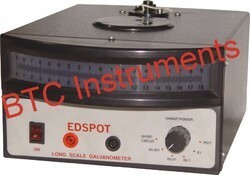 SOX Lamps Are Also Known As Polarimeter Lamps Used In Physics Lab. 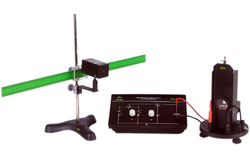 Looking for Applied Science Lab Instruments ?